A transition period will begin from March 29, 2019 to December 31, 2020 that will see the finalization of post-Brexit rules and will serve as an adjustment period for businesses. While the UK will be able to strike its own trade deals during this period, they will not be able to come into force until January 1, 2021. That in itself is not necessarily a bad thing as such discussions are time consuming and require considerable coordination between the negotiating stakeholders. Trade and investment is therefore expected to be the focus of discussions at the 25th Commonwealth Heads of Government Meeting (CHOGM), the biennial summit for the heads of government of all commonwealth nations, scheduled for April 19 in London. Since triggering Brexit, such summits are of increasing importance for Britain as it seeks to preserve its status in the global economy. India, meanwhile, could play a pivotal role as both countries have enjoyed long-standing business and economic ties. 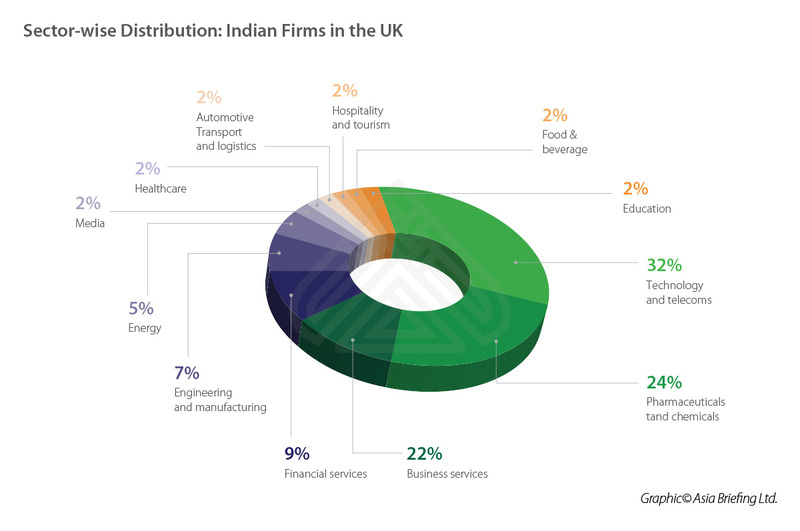 Currently, 800 Indian companies have a presence in the UK, with capital investments worth US$5.95 billion (Rs 387 billion), generating revenues over US$66.5 billion (Rs 4,323 billion). In 2016-17, the UK ranked 15th among India’s top trading partners, and the fourth largest inward investor in India. On the other hand, India was the third largest foreign direct investor in the UK, making investments worth US$18.2 billion (Rs 1,183 billion). India exports a significant amount of its information technology (IT) to the UK; in 2016-17, this stood at 17 percent of global IT exports from India. For India’s large IT-BPM firms, 25 percent of total revenue generated is from the UK and the EU. The looming uncertainty over the Brexit process has put a dampener on their business plans; such firms may have to set up fresh operations in both Britain and a member country in the EU to access both markets – a huge expenditure burden in the short-term. Fluctuation in the pound sterling (GBP) has also been a cause for concern. The pound fell sharply in 2016 after the Brexit announcement, at one point to a 31-year low. GBP revenues account for almost 15 percent of the total revenue for companies such as Tata Consultancy Services, a leading India IT solutions firm, and other large IT firms like Wipro and Tech Mahindra. With the value of the pound unsettled, the foreign revenues of these companies have experienced some volatility in the last two years. Historically, the strength of the pound against the Indian rupee allowed Indian exporters to price their products competitively. Experts believe that the new normal could see the pound stabilize around a much lower rate. In such a scenario, exporters and UK-based buyers may have to do a rethink on their terms of trade, in order to stay competitive. Otherwise, providing goods and services at existing costs would cause a sharp decline in profits and push traders to seek more favorable markets. The UK realizes the significance of this anxiety. At a recent Joint Economic Trade Committee meeting between India and the UK, British Secretary of State for International Trade announced that UK Export Finance, the country’s official export credit agency, would provide US$6.4 billion (Rs 412.5 billion) credit facility to companies trading with India and Indian exporters to the UK. While this could offer interim relief to traders, they will have to wait much longer before a favorable trade regime, such as an FTA, can be established between the two countries. Over 50 trade agreements will be dissolved once the UK leaves the EU. 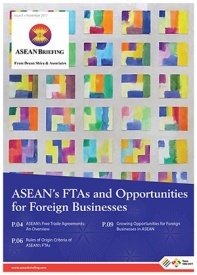 The UK is expected to look to ASEAN and other emerging markets to fill this void. With the UK’s departure from the EU, India and Britain can now revisit a bilateral trade agreement on individual terms. Research shows that a potential FTA would increase India-UK trade by US$2.8 billion (Rs 183.5 billion) a year. This is supported by the fact that both countries share reciprocal trade interests. The UK is a capital-intensive economy exporting products such as spirits and engineered goods. 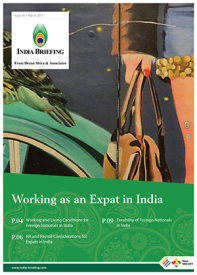 India, on the other hand, depends on labor-intensive industries like garments, machinery, and IT services. Even with no FTA or Bilateral Trade and Investment Agreement in place, the India-UK trade and investment portfolio was worth US$22 billion (Rs 1,430 billion) in 2017; both countries want to extend this relationship further. 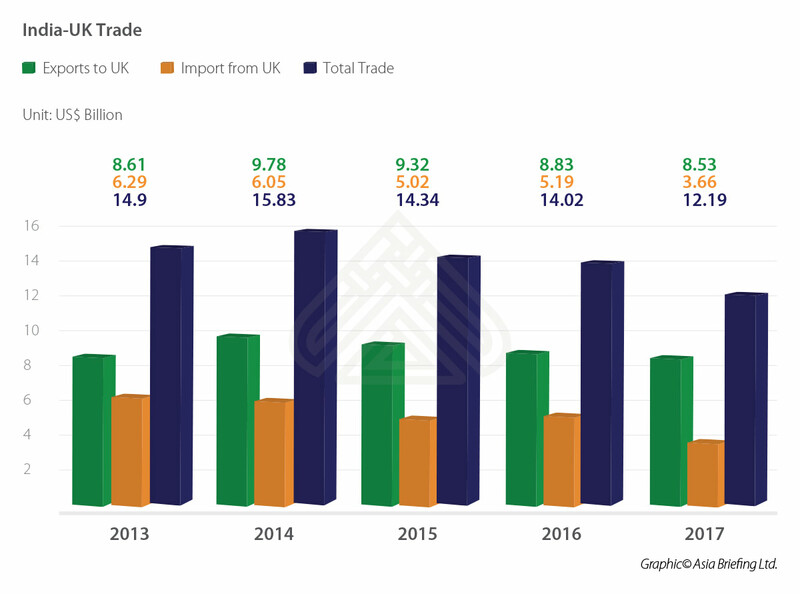 In the future, Indian goods could be in a better position to compete with EU exports to the UK if favorable tariff barriers are established via an FTA. The UK-India Business Council helps British companies set up operations in India and Indian businesses looking for partners from the UK. They have three offices in India, whose information is provided below.